What are the key issues arising from changes to FRS 102 and FRS 105? 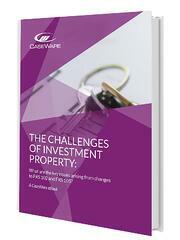 The Triennial Review has brought significant changes to reporting standards in relation to Investment Property. In this eBook we outline the key issues arising from the changes and consider the practical application of the requirements.